Creating a famous brand is not an easy task. The only way to grow in a deep competitive environment in all industries to become popular with customers is to do whatever it takes to customize your site regularly. Finding special products is one thing, but selling something that’s already been in the market is a completely different story. Although Shopify equips you with all the technical facilities for a successful sales business, there are always tricks you can make your brand even more successful. You may not know it yet, but creating a custom Shopify theme will make your online shop really stand out from other sellers in the crowd. Thousands of competitors choose to go with the simplest option in existing stock platforms instead of designing template. Meanwhile, you can spend time to design a Shopify theme yourself from scratch that will mirror all essential characteristics of the business you promote and assist in driving more loyal customers to your store. 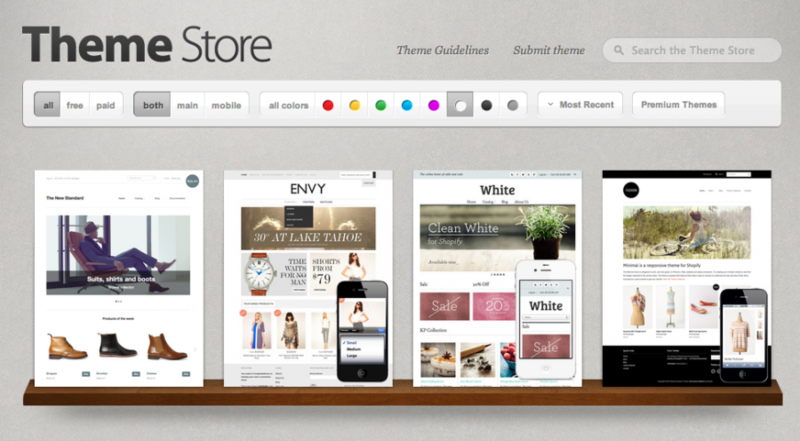 Before creating your own theme, you can refer to Shopify’s available themes. Some of them may be useful to you. Remember that if the theme you create cannot become more prominent than other, the amount of time you spend is completely meaningless. Let’s start by analyzing the existing options and figure out what’s missing, including the specific needs of the customer or the market you are targeting. If the theme is created for customers, instead of yourself or your own business, it is essential to understand their requirements. Custom development costs can be quite high, so you need to have a vision clear on the final result to ensure the money you spend is entirely deserved. There are always easy ways and ways to perform different tasks and no one is foolish to choose the hard way. With Timber, you can simplify your theme design. It can become a great tool for a designer to start at any level. For Timber, the backend integration from other applications is meaningless because this part has been taken care of. You don’t have to spend a lot of time repeating the steps and can completely focus on doing interesting things that users will actually see on the screen and interact with. The Theme Kit will help you update the configuration file right on your laptop when you want to use some default values before adding special new features. You need to know Liquid to create your own Shopify theme or customize an existing theme. Although it doesn’t provide a detailed answer on how to design a Shopify theme, it will make the process simpler. It will access the data of a specific store and export it to a relevant folder in the form. Basically, it acts as a bridge between the seller’s data and the code in the user’s browser. With its help, you will be able to access different variables without encountering any difficulties in process. Using Liquid, you don’t need to consider the data. This is optional and useful if you develop templates for sale to different merchants. You can also use Liquid Cheat Sheet to help new users bookmark and also outline various elements and include their descriptions. Shopify recieves hundreds of themes but not all of them are accepted and published. To ensure that your theme is good enough and will be approved, you must ensure that you have checked all the rules and regulations. Shopify stores only accept good themes with no errors. It’s never useless to check back in the development stage. You can start the theme when the designs are approved. This is a note on how to submit a theme to the Shopify store. Development and maintenance are very different. To to make it more efficient, pay attention template markup and CSS. It can really simplify everything if you implement a modular approach and match the CSS structure and pattern markup structure. In general, some polishing should be done before the new topic is made public. Shopify is a reliable platform so no errors will be allowed to appear. Use a reasonable time for all files to be easily modified later if needed. Following this simple advice, you’ll be able to answer questions about how to build a Shopify theme. Remember that all restrictions exist for a reason. You will find out what their limitations and goals are if you take the time to think about it. Many investors have given up and look for another tool that is easier to use without considering its true value. Developing a Shopify theme is an interesting and rewarding process. However, since there are not so many themes selected, it becomes a potential market for development. Searching for ideas is only the first step, and will take time for your theme to hit the market. And when it is published by Shopify, you will find that the benefits you receive are well worth the effort you have spent.